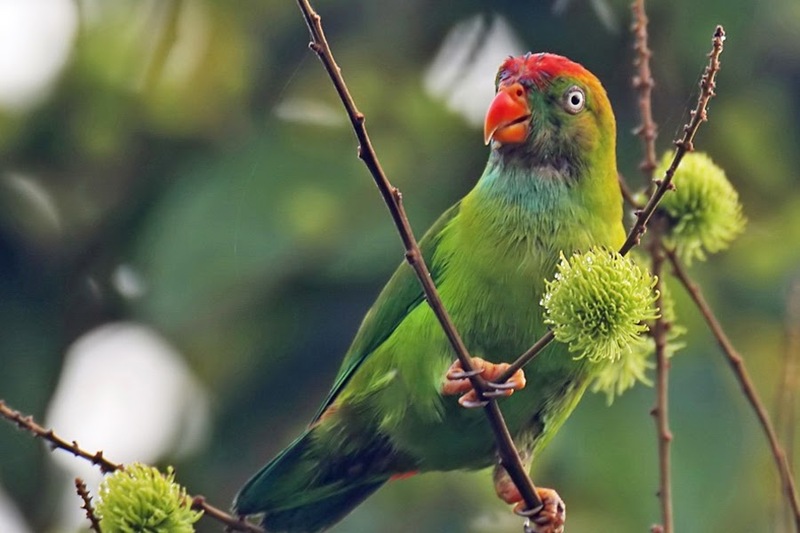 The Sri Lanka Hanging Parrot (Loriculus beryllinus) is a small parrot, which is a resident endemic breeder in Sri Lanka. In Sri Lanka, this bird is known as Gira Maliththa or Pol Girwa in Sinhala Language. Hanging Parrot appears in a 15c Sri Lankan postal stamp.